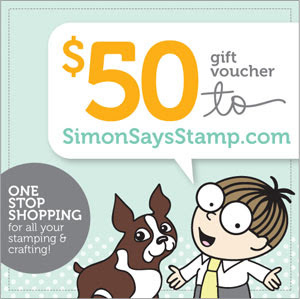 OK...I am guesting again this week at the Simon Says Stamp Challenge Blog and THIS TIME I AM NOT GOING ROGUE. the theme is Summer Fruits. CHECK. So cute! I love the strawberries and the blue polka dot paper! 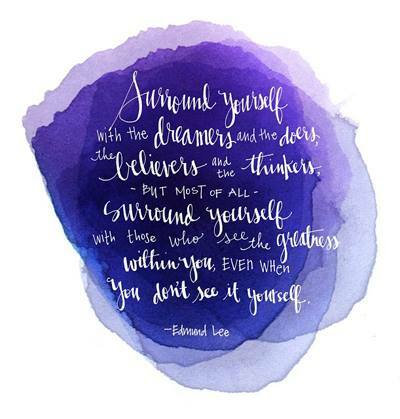 Exactly what your sentiment says, so sweet! Love the dimension of the berries and your banner! Love this "sweet" card Wida!! Those strawberries look yummy enough to eat!! So cute! Great design too!! Those strawberries are SOOO cute!!! 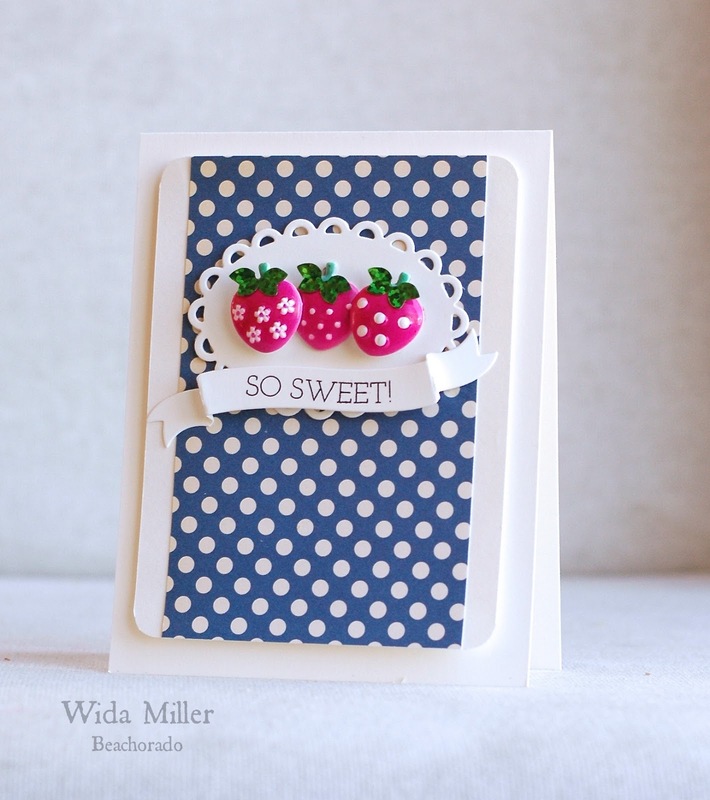 A fabulous card Wida, your design and colour scheme are great, I love those pretty scrumptious strawberries!! Love the dimension from the strawberries to the polka dot background with the cute and simple doily. Definitely gets you in the mood for summer! Great take on this challenge theme! Love the color combo! Great design!!! Seems like there's a fine line between being creative and going rogue! lol! Love those embellishments - very sweet! Nothing wrong with going rogue - especially when in your hands. Love the strawberries, but particularly the polka dot paper, such a simple addition but really makes the berries pop. super cute! love the color combo and design! fab card, Wida! Sweet! Love those polka dots. Strawberries are my fave! Gorgeous card, love those strawberries ! Wida this is so sweet love the blue and pink together. I like very cute card. Design of the color also great. I'm a big favorite is strawberry. This is so sweet, Wida! 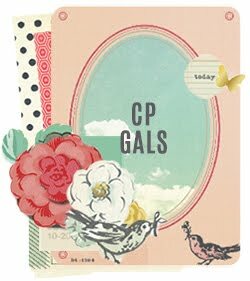 Gorgeous card, Wida! Strawberries happen to be my favorite fruit :) I love the dimension you added to the card! This is a simply beautiful card. Blessings! SOOO sweet indeed! the pop of red against that fab blue dotted paper...so amazing!